Walk into the grocery store and take a look at the shelves. Each package you see contains an enormous amount of content – ingredient lists, artwork, branding, legal language, and more. 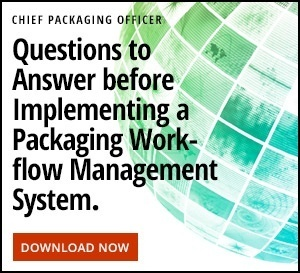 Those who produce the content on those packages face a unique set of challenges: aggressive delivery deadlines, changing regulatory requirements, rigorous quality and accuracy standards (with penalties for violations), and delayed receipt of the necessary inputs for the packaging artwork. Often, critical work cannot even start because the details that define how the package needs to look and what the package needs to communicate are missing. Online proofing technology enables businesses to fast track the input and approval workflows for packaging artwork. Additionally, with access to online markup tools, businesses can also improve the quality of their creative output without sacrificing time. Here are 10 ways online proofing technology can immediately benefit your business. Proof from anywhere, on any device. Online proofing enables multiple team members to simultaneously view, compare, and annotate on digital media (video, photo, graphics, layout, audio, labels) on any device and from any location. This functionality improves collaboration and communication. Avoid searching through an already crowded inbox to find the latest packaging artwork version or approval. Online proofing technology enables users to save all feedback and approvals in one central online location. Dispose of traditional, labor-intensive tools to manage approval workflows. Say goodbye to the tedious chore of manually updating spreadsheets to track your packaging artwork project. Online proofing technology enables users to automatically track all work in progress on one simple interface. Stakeholders in other departments or those working externally can log in at any time to see the status of the project. No more running around to update and email spreadsheets to other parties at the last minute. Online proofing technology enables stakeholders to clearly markup changes on artwork and communicate these to all stakeholders. Gone are the days of handwritten markups that can be misconstrued or require clarification. Online proofing technology provides compare revision tools so that two artwork versions can be compared. This makes it easy for all stakeholders to ensure the correct changes have been implemented. 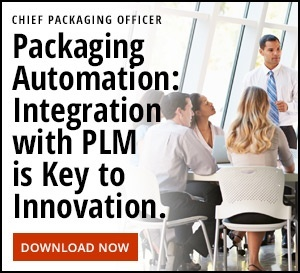 Gain greater transparency on end-to-end approval workflows. With online proofing technology, any internal or external stakeholder can log into the platform at any time and immediately see how the project is tracking. Online proofing technology records all feedback on artwork, so each stakeholder is fully accountable for reviewing the work and providing quality comments. Stay on deadline with reminder alerts. Online proofing technology allows users to set automatic alerts to remind stakeholders when feedback or approvals are due or outstanding. Avoid the inbox clutter and email threads that occur when you follow up with stakeholders via email. Online proofing technology decreases the risk of compliance issues. All feedback is saved in one location, eliminating the likelihood of missed changes. With the ability to set your own approval pathways, the right stakeholders are involved in the process at the right time. Late changes and missed approvals become a thing of the past. Improve the overall quality and delivery of your project. With a transparent feedback system, online proofing is less error-prone. This means that what goes to market is accurate. The less time creative teams are bogged down in administration, the more time and headspace they have to be creative. An effective approval workflow process means you’re more likely to stay on deadline and on budget. In fact, the cumulative benefit of improved collaboration and communication, full visibility into approvals/changes, increased content quality, reduced turnaround times, and decreased overall error rates yield significant reductions in proofing costs.